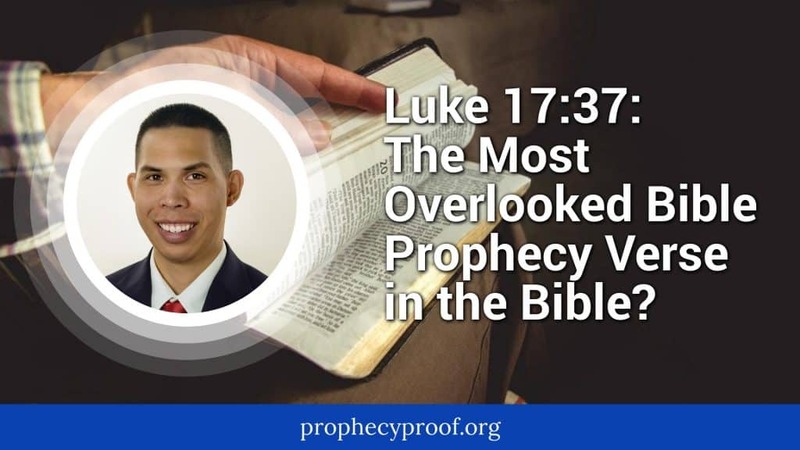 Luke 17:37: The Most Overlooked Bible Prophecy Verse in the Bible? Luke 17:37 may be the most overlooked Bible prophecy verse in the entire Bible. I have not seen many Bible prophecy commentators address Luke 17:37 in my many years of study. Despite being overlooked, Luke 17:37 may be one of the most important Bible prophecy verses in the Bible. In fact, studying Luke 17:37 caused me to reevaluate many assumptions I had about the end times and caused others to reevaluate everything they were taught about the end times. In this article, I will highlight Luke 17:37 while discussing several important end time passages. Christ compared the time of His Coming to the days of Noah. 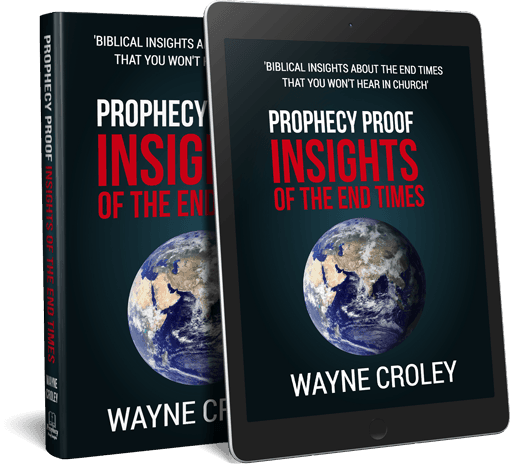 Christ discussed how people in Noah’s time lived life unaware of their impending doom before the flood. Similarly, many people in the end times will be living life unaware of their impending doom before Christ’s coming. Christ also added that some will be taken away while others will be left behind when He comes. Many assume that the righteous will be taken away while the wicked will be left behind. But is that assumption correct? Luke 17:37 says “Wheresoever the body is, thither will the eagles be gathered together”. The same statement is found in Matthew 24:28 except that the word “body” is replaced with “carcase”. We can deduce from Luke 17:37 and Matthew 24:28 that those taken will be sent to a place where there will be birds flying over dead bodies. Could it be possible that those taken are wicked people who will be sent to their doom? The idea that the wicked may be taken seems quite strange in an age where many teach that the wicked are the ones left behind. The righteous will indeed be taken at some point to meet Christ in the air (1 Thessalonians 4:16-17). But, the passages above indicate that those taken will be sent to a place where birds will be ready to feast on a bunch of dead bodies. Luke 17:37 and Matthew 24:28 indicate that some will be sent to a place where birds will be flying over dead bodies. Meanwhile, others will not join them on this journey (Matthew 24:40-41 and Luke 17:34-36). Revelation 19:17-18 and Ezekiel 39:17-19 each describe a scene where birds will gather before a great slaughter of wicked people that have assembled. Matthew 13:30, 37-42 indicate that the wicked will be gathered first at the end time harvest of the earth and will be taken to their doom. Piecing these facts together, it’s likely that Luke 17:34-36 and Matthew 24:40-41 refer to the wicked who will be taken to their doom. The wicked will get slaughtered and become food for the birds that will gather to feast on dead bodies. The wicked being taken in Matthew 24:40-41 and Luke 17:34-36 are likely those who did not already assemble to the battlefield described in Ezekiel 39:17-19 and Revelation 19:17-18. They will be taken to the scene so they can join others in their doom. As I mentioned, many assume that the righteous will be taken away while the wicked will be left behind when they read Matthew 24:40-41 and Luke 17:34-36. The passages I shared in this article suggest that the wicked will actually be taken first. I am not the only one who has reached this finding. I know of others who came to a similar conclusion and had their end time viewpoints completely transformed by it. I know it’s not easy to accept the idea that the wicked are the ones taken in Matthew 24:40-41 and Luke 17:34-36. It took me over two years before I was ready to accept a proper view of these passages. I hope you will not take as long as me to reach the same conclusion I have. Just to add to what you said, Wayne, tribulation is neither thumos or orge. It is “thlipsis”. An entirely different concept, for it means persecution. The great tribulation is never called God’s wrath. That is simply a man applied appellation. Your article gives confirmation to what is going on right now with the Q Anon movement. They predict that members of the new world order will be arrested, taken to Gitmo, and given Military Tribunals with execution for their Treason. This is pretty awesome Wayne. I believe Luke 17:37’s ultimate fulfillment will come at the coming of Christ. For instance, Revelation 19:17-18, which I cite in the article, relates to the time of Christ’s coming to destroy the wicked. Here’s a question I have been thinking about, Wayne: In Luke 17:30-36, if those being taken are the ones w/ the mark, why do we see (for example) two people laying in bed together? It seems odd to me that a person w/ the mark would be bedding down (so to speak) with a person who doesn’t have the mark. Even more odd, in my opinion, is the thought that a believer would be laying in bed w/ someone having the mark. Am I missing/overlooking something? Thanks Wayne I hadn’t considered that. This seems an increasingly complex passage the more I ponder it. When Jesus says no one on housetop should go down to get possessions inside, he seems to be addressing believers? If that is indeed the case, it almost sounds like those who do go back down could either be 1) killed 2) at risk of losing their salvation or 3) both? Christ may be addressing anyone who will listen to Him. The events described in Luke 17:23-37 will find their fulfillment around the end of the 70th week of Daniel (tribulation). There’s going to be a lot heavenly signs appearing and extreme seismic activity taking place at that time. Going inside to retrieve possessions could kill someone if something collapses on them. Hi Loni! I’m glad you found this article after reading from Luke 17:37. Yes, believers will be caught up as the Apostle Paul described. My many years of study and research lead me to believe that this will be a Post-Trib event. Luke 17:34-37 can be used as evidence to support this. Matthew 13 parables about the end time harvests of the earth can be used to support this. Even the Great Commission of Matthew 28:20 provides evidence supporting a Post-Trib scenario as I outline in this article. I’m glad that you’re also able to see that the one taken is in judgment. As Noah and his family went inside the ark, so it will be for the elect/saints prior to armageddon war, they will enter the ark of the covenant with the Lord. Then the wicked will be destroyed at the coming of the Lord, though this time some will be spared, those whom maybe fit to live on through the millennium, like maybe the remnant Israel as prophetically promised, and some repentant and peace-loving gentile nations., as Jesus said it will be cut short so that there would be survivors. another possibility for “cutting short” could mean that if the great tribulation were allowed to continue indefinitely there would be no one left, but for the sake of the elect it won’t continue indefinitely. 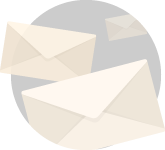 In Rev. 14 it puts the gathering of the righteous before gathering the grapes of the wicked to throw into God’s wrath. How do you fit that into things? Revelation 14 describes the harvest of the earth twice from different perspectives. The first description focuses on the righteous. The second description focuses on the fate of the wicked. My point was the order is to take the righteous first, then the wicked. This is the reverse of what you say the other verses teach, that the wicked are taken and the righteous left. Scripture gives it both ways. Could not they be happening simultaneously? The harvest of the wicked and righteous is likely to occur practically at the same time-so simultaneously works. The importance of Luke 17:37, Matthew 13:30, and the other passages I showed is that they challenge many people’s conception of “left behind”. I have to say, I never gave that passage much thought. Thanks. I’m glad you’re noticing the verse now.